This property is now under auction terms. All offers should be submitted through www.Auction.com. This property is subject to a 5% buyerÃ¢â‚¬â„¢s premium pursuant to the Auction Terms & Conditions (minimums may apply). All auction assets will be sold subject to seller approval. Fantastic condo in this central San Diego community. Plenty of possibilities await you! Opportunity awaits you to turn your vision into a reality. This property is now under auction terms. All offers should be submitted through www.Auction.com. This property is subject to a 5% buyerÃ¢â‚¬â„¢s premium pursuant to the Auction Terms & Conditions (minimums may apply). All auction assets will be sold subject to seller approval. 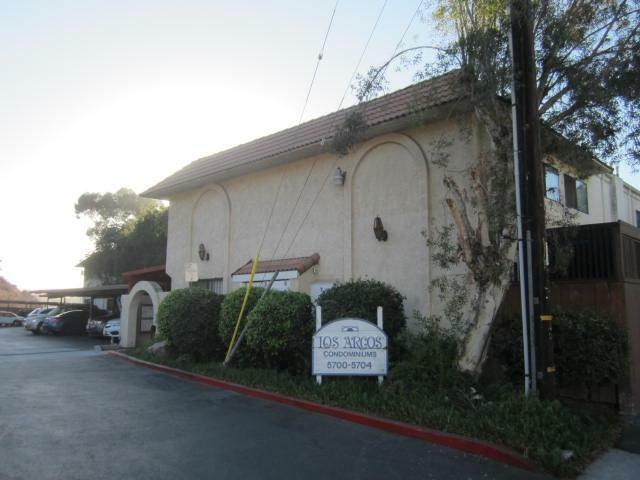 Fantastic condo in this central San Diego community. Plenty of possibilities await you! Opportunity awaits you to turn your vision into a reality. Sensational San Diego Condo located in the Los Arcos complex at the end of a cul-de-sac in the Chollas neighborhood. Very peaceful, quiet, and family friendly setting. Plenty of opportunities await you with this purchase. Your chance to turn a San Diego County condo into what you've always wanted a home to be. Don't wait or hesitate...PUT IN YOUR OFFER TODAY! From the moment you walk in, you know that this is the one that you've been waiting for. You have the vision and understand what you want your future home to look like. From the large living room to the granite counters in the kitchen & master bathroom to the back covered patio. Come and take a look before it's too late! Don't miss out! 2 full bedrooms, 1.5 bathrooms, and over 1,000 sqft of living space. Generously sized for a condo in this area. Easy driving distance to everything that San Diego has to offer! Put in your offer today, renovate it during the Fall, and then move in for a Wonderful San Diego Winter! Perfect property for first time buyers, move up buyers, and investors alike. Listing provided courtesy of Blake Peter Properties. Listing information © 2019 San Diego MLS, Inc.